After the 4th of July weekend, I wrote a post in this blog announcing that the MEBO TMAU Test Program was resuming. I have been diligently working on the wait list, first with domestic US shipments, and I will be shipping internationally soon, once this first phase is completed. If you have partially filled out the online Requisition Form and submitted it incompletely, your name will be skipped. It is your responsibility to provide me with the necessary information asked for in the application, in order for me to do my job and give you a cost breakdown of the test and shipping cost. It is impossible to provide shipping information without an address and phone number, since the carriers won't give quotes without it. 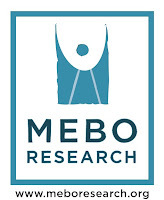 You can email me at maria.delatorre@meboresearch.org to give whatever information you have failed to provide in your application if you are still interested in doing this test. If you have been thinking about doing this test, this is definitely the best time to do your test in order to get your results more quickly - sooner than later. As of today, I have sold 18 tests, of which I have received 11 samples for Batch #16. I have to wait to get 20 samples in order to send this batch to the lab in dry ice. This is the agreement we have with the lab in order to get the low cost of the test. Once I ship a batch to the lab, they have 30 days to send me the results on a spreadsheet of all 20 samples. 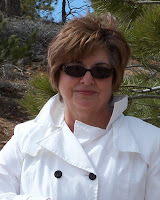 I then transcribe each one within a day or two to individual reports and email them to each respective participant. If you have been thinking about doing this test, this is definitely the best time to do your test in order to get your results more quickly - sooner than later. You can fill out the Requisition and Disclosure Form completely to begin the process. Once I ship the 20 samples to the lab, then we will have to start a new batch, and it may take months to get another 20 samples for Batch #17 and one more month to get the results from the lab. I hope this gives everyone an idea of how long the process can take.